While it has been said that there is a soundtrack to everyone’s life, I think this statement is misleading. Music is not the backbeat to our daily lives, it is sound of the self. I insist that the music we love defines us completely, while also, of course, allowing for community. As much as our “taste” is a product of our environment, music somehow is a personal testament to the person we are, even more so than the person we want others to think us to be. I bring this up as a result of reading Ricardo Cavolo’s new book 101 Artists To Listen To Before You Die, recently published by NoBrow Press. I also bring this up because while both Jason Sacks at Comics Bulletin and David Fairbanks at Loser City have both written tremendous reviews of this book, neither of them seemed to point out the role music plays in our development of self. Fairbanks and Sacks have examined this book from an outsider’s perspective, spending most of their reviews scrutinizing the personal nature of Cavolo’s almost poetic mini-essays about his choices, how they are revelatory of Cavolo’s subjective taste. 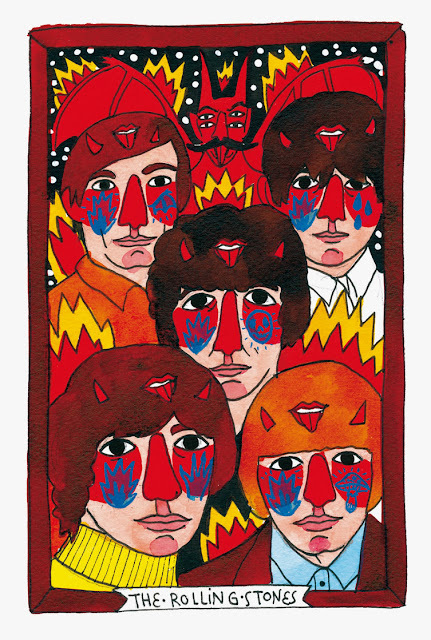 They also examine his beautiful outsider art portraits that hallucinatory punctuate this book, adding even more of a singular personality to 101 Artists To Listen To Before You Die. What is missing from these reviews, though, is what the totality of the book adds up to, and what deriving meaning from that exploration means universally. Music is the litmus towards how we conceive ourselves. I mean this absolutely. 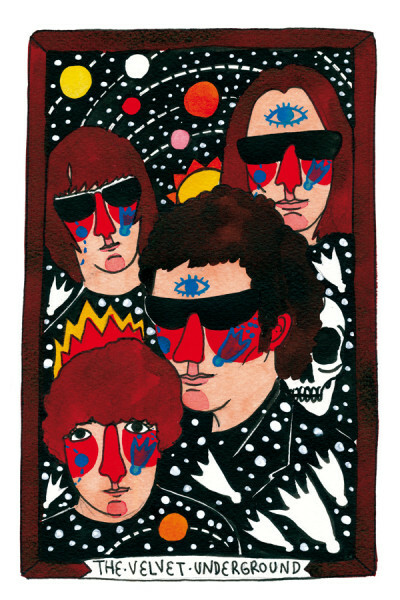 Would I be the man I am today if I had not, at a pivotal moment in my life, listened to Black Angel’s Death Song and the rest of that first Velvet Underground album? I had been trying other music on for definition up until that moment, but up until then they had all fit me like a cheap suit or the skin of another man. The moment I discovered the sounds Lou Reed, John Cale, Sterling Morrison, and Mo Tucker were making, I discovered myself. Not who I wanted to be or how I wanted to be seen by others, mind you, but my essential self. And this is why music plays such a powerful role in all of our lives. We inhabit songs because they are us. The diary aspect of Cavolo’s book emphasizes this in subtle ways. We understand Cavolo because of his musical choices. 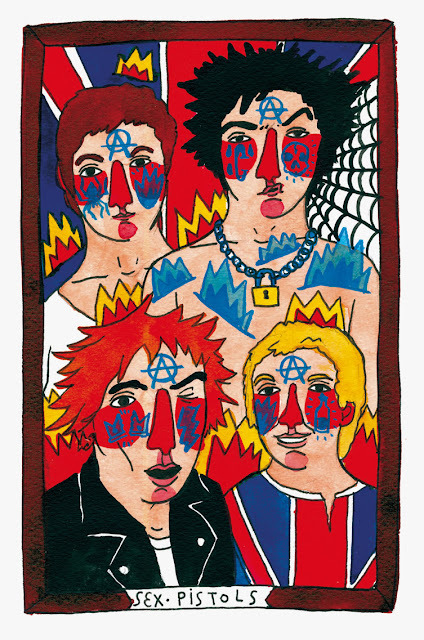 His connection to the songs and bands that he examines in 101 Artists To Listen To Before You Die tells us directly who he is. By looking at the music that he loves, he lays himself naked before us. Yeah, sure, music builds community as well. We hear about new bands from our peers and gravitate to music that people we like, like. But I posit that we gravitate to that music in the same way we have gravitated to the people recommending it. We see so much of ourselves in our friends. We should see as much of ourselves in our songs as well. 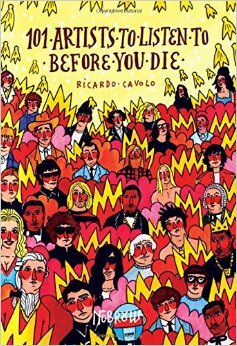 Ricardo Cavolo’s 101 Artists To Listen To Before You Die is a beautiful book, not just for its honesty and not just for its transcendent art. It is a beautiful book because it is a pure expression of self, celebratory and excited. It is the direction that autobiographical books can easily go towards in order to strip away the self-deprecation and the self-doubt and the self- loathing that we all swaddle ourselves in so often. It reveals the light inside us, the large heart we contain, the song that we are. Many years ago, Victor Hugo wrote, “Music expresses that which cannot be said and on which it is impossible to be silent.” What he was talking about, and what Cavolo perfectly captures, is that music is access to our souls. If the universe began with a word, humanity began with a song. And, oh, what a beautiful song it is that we sing. You can pick up a copy of 101 Artists To Listen To Before You Die from NoBrow Press here.